As lead singer with the biggest band that Britain has produced in the last 20 years, Liam Gallagher had the swagger, confidence and attitude that befits one of the few genuine ‘rock stars’ to have emerged on this side of the Atlantic in recent times. He was boorish, cocky, borderline ignorant but he was also the lead singer with Oasis, a band that exploded on to a stagnant British music scene with their debut album in 1994 and went on to create some of the most enduring songs of our age. They were a proper rock and roll band – bad behaviour and a side helping of arrogance is expected of you when the world is at your feet, and an endless and constant torrent of adulation is flowing your way. Recent interviews with Gallagher suggest that the old arrogance is still very much intact, so it’s something of a shame that the music he is making right now doesn’t quite back that up. 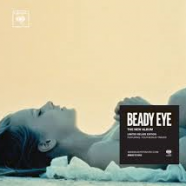 Beady Eye’s second album BE is a very average collection of songs, devoid of the kind of attitude that Gallagher brought to the party with Oasis. Musically, it is a remarkably tame effort, and displays all the hallmarks of that most dreaded disease – comfortable middle aged rock star syndrome. Since their split and subsequent tawdry tabloid feud, the Gallagher brothers have maintained an outward show that suggests that they are happy in their current respective ventures. BE contains a number of songs that make less than subtle hints that a thaw in their frosty relationship might be underway and the seemingly inevitable reformation cannot be far off. On ‘Don’t Brother Me’ Gallagher seems to chide his older sibling before extending a somewhat cringe worthy olive branch with the lines ‘all or nothing / I’ll keep pushing / Come on now, give peace a chance’. Elsewhere, it is the usual Beatles inspired melodic pop, but the decent tunes are few and far between – the sprightly ‘Iz Rite‘ briefly lifts the album midway through while closing track ‘Start Anew’ is an affecting acoustic ballad with some ambient sonic textures that make this as close to experimental as you are going to get on a Beady Eye record. The ordinariness of much of what features here is the most disappointing aspect – this is a surprisingly bland album, lacking the fire and cockiness that Gallagher seems to reserve exclusively for journalists these days.